A love of details and an ethos predicated upon social and environmental responsibility are what guide German brand Dalgado in its crafting of timeless and minimalist leather accessories. 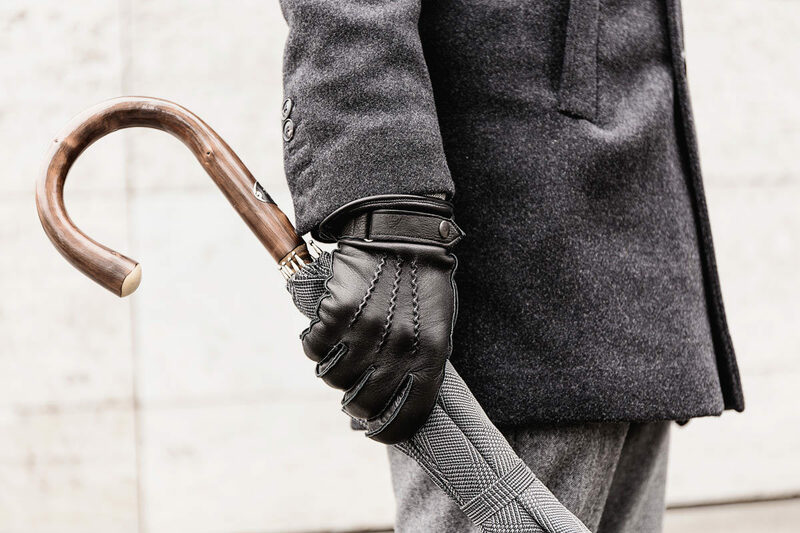 The 'Alessio' gloves by Dalgado are handcrafted using luxurious full-grain deerskin leather. Sustainability has become a bit of a buzzword in recent times, rendering its meaning increasingly difficult to discern. More and more brands are touting themselves as sustainable, but total transparency is hard to come by and evidence of any real action is rare. Needless to say, frustration is rife within the fashion industry - which is why it is so refreshing to encounter labels championing sustainability beyond a simple mission statement. Enter Dalgado: founded only last year by brothers René and Jan Jülicher, the Düsseldorf-based leather accessories brand has already made a name for itself as a leader in sustainable luxury. It prides itself on its exclusive sourcing, ethical and eco-friendly production processes and clean, minimalist design.